← This Week’s Group runs and etc…. What an incredible and successful fall racing season we’ve had! Stay tuned for information about the upcoming Holiday Party to celebrate all of our accomplishments and to toast an even better 2015! Anne – Great performance at the Tapping of the Great Pumpkin 5K! 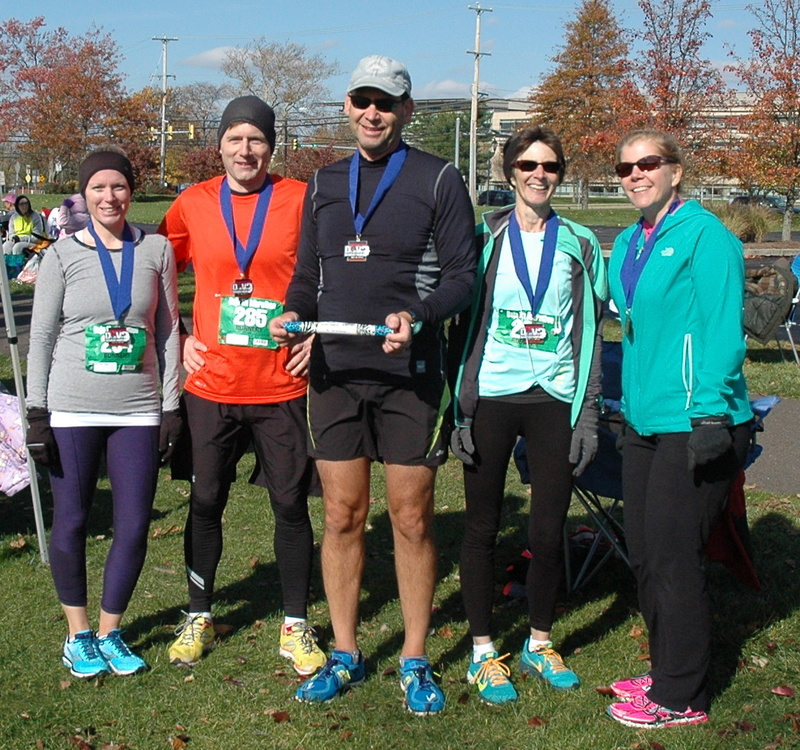 Dale – Completed a couple of 5K races this fall. John, Lynne (finished her first Broad St. run earlier this year), Mary Beth, and Jamie. We finished in 3 Hours 40 Minutes good for 13th place.